No receipt is needed for this! Get free $15 in cash now. Click here for more information to to start your claim. Did you buy a lawn mower between 1994 and 2012? 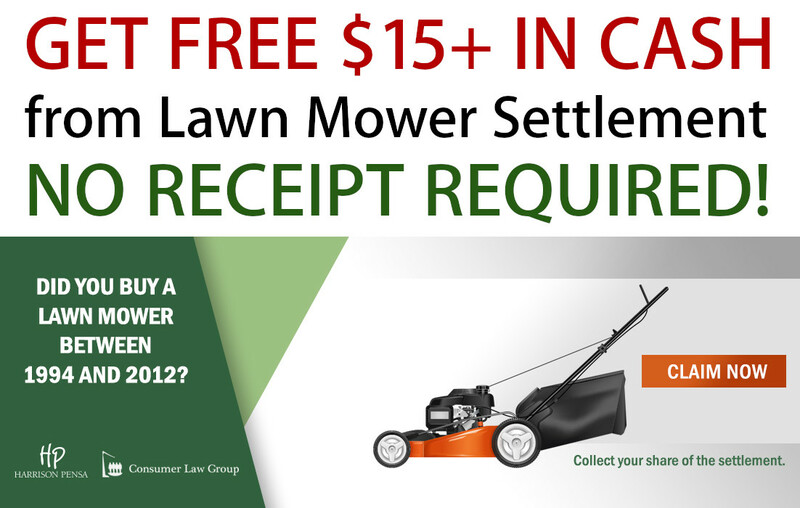 Settlements have been reached in the Canadian Lawn Mower Horsepower Labelling Class Action totalling $7,535,000. Click here for more information to to start your claim.